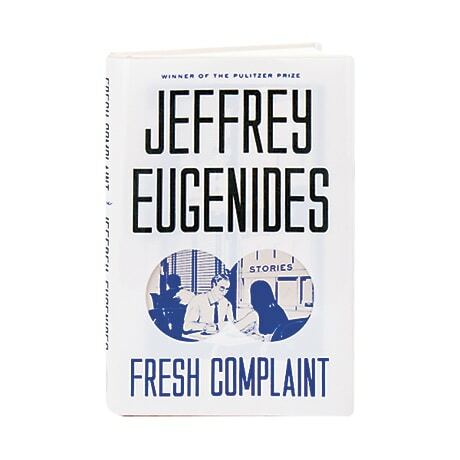 (First Edition, with Tipped-in Autograph Page) (Nominated for the 2017 Andrew Carnegie Medal) This first collection of short fiction from Jeffrey Eugenides includes stories written in the decade between The Virgin Suicides and his Pulitzer Prizewinning second novel Middlesex. Ranging from the bitingly reproductive antics of "Baster" to the dreamy, moving account of a young traveler's search for enlightenment in "Air Mail" (selected by Annie Proulx for Best American Short Stories 1997), this collection presents characters in the midst of personal and national emergencies. We meet a failed poet who, envious of other people's wealth during the real-estate bubble, becomes an embezzler; a clavichordist whose dreams of art founder under the obligations of marriage and fatherhood; and, in the title story, a high school student whose wish to escape the strictures of her immigrant family leads her to a drastic decision that upends the life of a middle-aged British physicist. Beautifully written, and packed with a density of ideas, these ten stories chart the development and maturation of a major American writer, and we are pleased to offer this first edition with a tipped-in autograph page signed by Eugenides.